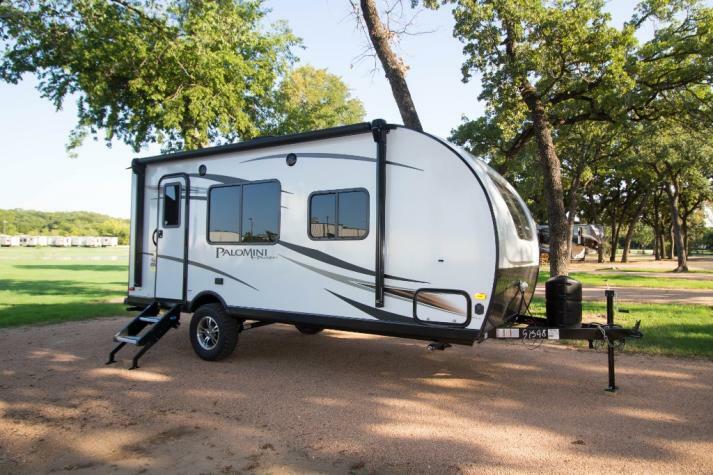 In this PaloMini travel trailer you will find many high-quality and affordably priced amenities that will keep your unit feeling stylish and comfortable. 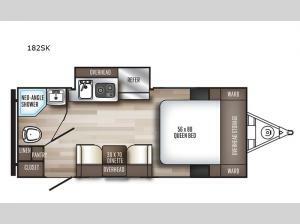 The kitchen comes equipped with a two burner range to help you prepare daily meals. 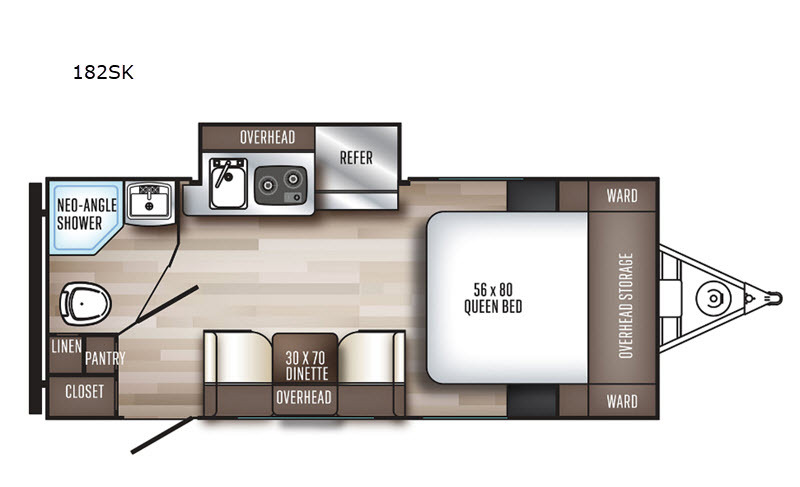 Above the queen bed is a large overhead storage compartment that will allow you to bring all of your camping essentials without crowding the interior living space. 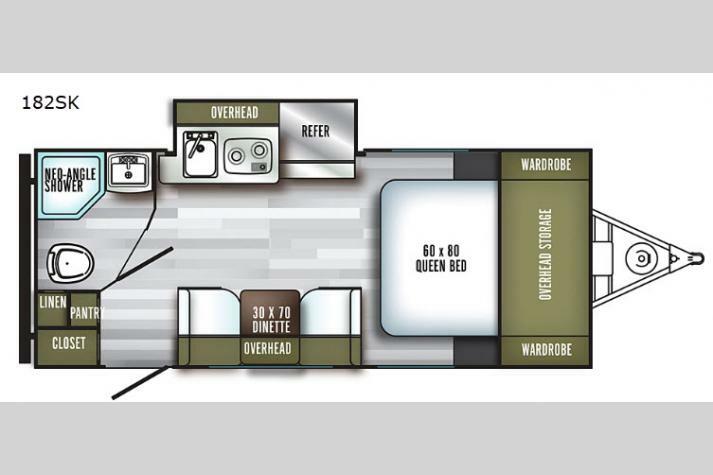 This unit also includes a rear corner bath, plus a closet right as you enter the unit for your jackets and shoes!